What is the CIP Self-Review? The Office of Career and Technical Education describes it this way: ﻿The CIP Self-Review is a tool developed to assist with monitoring CTE programs and help those programs to determine areas of program improvement needed. 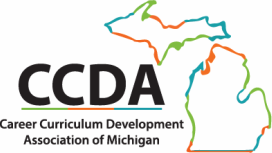 All 54 CEPD CTE Administrators are required to review 20% of their CTE programs each year over the next five years. This process is completed and submitted to OCTE via MCCTE Navigator (http://ctenavigator.org). OCTE annually selects CTE programs to review during the TRAC cycle with a specific set of criteria. The selected programs may or may not be in the same 20% that the CEPD CTE Administrator has selected to review that year. This process exists to validate that CTE program reviews are conducted and program improvement plans developed should be utilized to strengthen and improve these CTE programs at the local level.